Beginning Shooter Handgun Training. 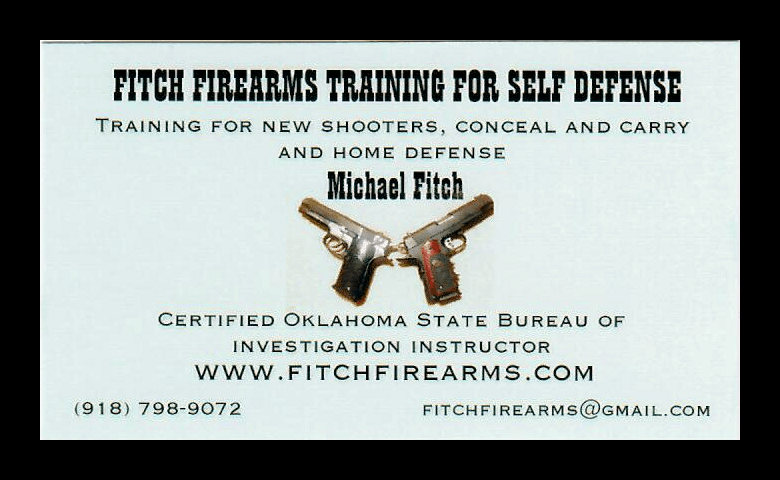 Receive your training from a veteran Marine Officer that is certified by the NRA, CLEET (Council for Law Enforcement Education and Training), as well as the Oklahoma State Bureau of Investigation. 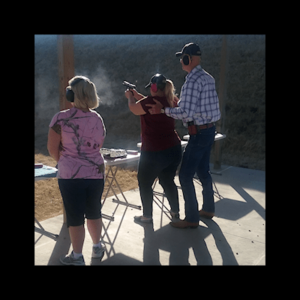 Receive your training from a veteran Marine Officer that is certified by the NRA, CLEET (Council for Law Enforcement Education and Training), as well as the Oklahoma State Bureau of Investigation. As the name implies, this class will be geared toward the individual who has very little or no experience with handguns. This class will focus on general gun safety as well as guns in the home and on the firing line. 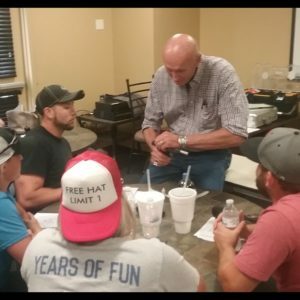 We will learn the components and functions of the handgun and ammunition and discuss the size, caliber, and purpose of the handgun to best fit the user’s needs. Significant time will be spent learning to safely load and unload the handgun along with learning a proper shooting grip and stance. The shooters will learn how to obtain proper sighting and sight pictures, as well as learning about trigger pull. We will also learn how to clear the most common malfunctions. Students should bring their firearms and 100 rounds of new factory made ammunition along with hearing and eye protection. Wearing a closed neck blouse or shirt along with a hat with a brim or a ball cap are suggested for the range. This group class is by appointment only, any day of the week for up to 15 students. Call Michael at 918.798.9072. Class will begin at 9:00 a.m. and should conclude at or near 5:30 p.m. We will break for lunch from 1:00 p.m. to 2:00 p.m. You may bring your lunch or or pizza and soda, water, or coffee will be provided. This class is not eligible for discounts. If you want to schedule a group class of more than 3 students call Michael at 918.798.9072 to set a date. The rate for a group class is $60.00 per person via a credit card at checkout. If you purchased a handgun from the Bass Pro Shop in Broken Arrow in the past six months, you are entitled to a discount for this class. In the space designated for discount coupons, type basscustomer. This will give you a reduced rate. Please bring the receipt for that purchase to class. If you purchased a “Groupon” type Groupon in the space designated for discount coupons. Please bring the coupon with you to class. If you are a Bass Pro employee type the code BASSPRO in the space designated for discount coupon. Please bring your employee ID to class. Enter the full name of each student at check-out. There are spaces for 3 students, their name, e-mail, and phone number. Please make sure you complete this before you finish check-out.